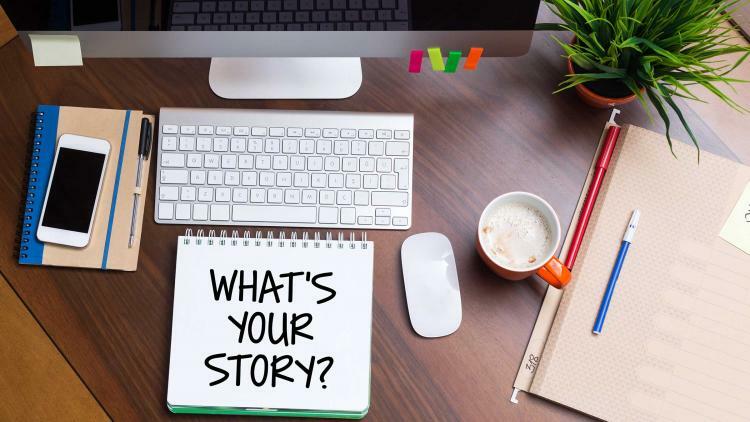 You’re thinking of getting on stage at the 2019 Jamf Nation User Conference (JNUC) and sharing your story with the rest of Jamf Nation? Fantastic! We certainly want to hear from you! But how do you get your presentation to stand out? To be memorable? Just like any story, there’s a flow that every culture will recognize. It’s called the Hero’s Journey or the Monomyth. Believe it or not, your story probably fits into the exact same pattern as The Hero’s Journey. Let’s take a fairly typical situation: your manager comes to you with a problem and asks you to solve it. It’s not something you’ve ever encountered before. But you’re pretty sure someone else out there must have, so you seek out someone with prior experience. Someone who has done a task before can often point you in the right direction. Your environment isn’t quite the same as theirs, so you’ll need to adapt and learn some new things. As you go, you’ll encounter unforeseen problems and some might potentially be show stoppers. Given that you’re proposing a talk, let’s assume you had that moment of clarity when the answer came to you. You tested your theory, you proved the theory to be correct, you put a resolution into production, and you received validation that the problem was solved. 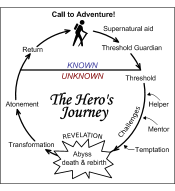 If you look at the Hero’s Journey, we just covered the call to adventure, journey into the unknown, challenges, revelation, transformation and the triumphant return. Now we get to find a new problem and start over! Now let’s look at some of the most important components of a submission: The title, description, and presenter slides. This clearly sets expectations, and attendees in similarly growing organizations will know that this is a session they shouldn’t miss. Try to use action verbs where you can! Turn your attention to what makes you qualified to give this presentation. Sure, there may be people with 20 years of experience doing the same thing. In some ways, your journey may be the same. But you have a unique journey and we can all learn from how someone else has learned. You should be able to paste the bio you provide in your submission into the notes of the slide that you use to introduce yourself on stage. Your title should be the same, and it’s always good to reiterate the description of the session, which acts as an unwritten contract between you and the audience. Now you’ve introduced the topic and explained what the takeaways are. If your presentation is accepted, it’s time to sit down and build a keynote. One thing that makes this easy is that most conferences will give you a template. Start there. We like to start every presentation with a general outline of what the presentation will cover. Keep this simple. Remember that you’re telling a story, it needs an introduction. The problem is in the middle. The journey to solve the problem comes next. Then the resolution: what was achieved and how can others realize the same success. You’ve restated the premise underlying your presentation. In this portion of a session you dig into the problem. This is where you help your audience connect with the problem by making the problem relatable to them. Keep in mind that if you’re speaking at JNUC, the audience had other choices but decided to come to your session. They already have some connection! Of course, everyone will have different circumstances and personalities to deal with, but it’s easier to build on ideas than to start from scratch. What goals or targets did you set? What were the expected results? What did you do? What did you learn? What would you change if you could do it all again? This is the fun part. This is your chance to describe your journey and give the attendees part of your process. The technical aspects of a presentation are best when woven into a good story arc! In the last part of your presentation, it’s time to dig into how you resolved the issue. What results did you see? Were there any unexpected benefits? Give people realistic expectations on what they can achieve. Then finish off the presentation with a concise summary of the takeaways and action items. Don’t forget to thank your audience for their time, and open up the floor for questions. And be prepared for people to approach you directly after your session, as some people don’t feel comfortable engaging in front of a crowd. Then refine your session and make sure to run through it at least three times without altering slides. Once you can get through it three times without changing the presentation, you will be ready to deliver it in front of an audience! Now that you have a great session ready to deliver, let’s review a few tips and tricks! Less is more. If there’s a small book’s worth of text on screen, your audience will be reading that instead of listening to you. More slides with less text is better than just a few slides with a lot of text. And use screenshots rather than text where possible. If you’re using bullet points, stick to 5 items or fewer and don’t wrap words to new lines in those bullets when possible. Keep font point size as large as possible; it’s easier for the audience to read. Consider how you use colors with regard for folks with vision impairments, particularly red and green. If you’re showing code, highlight specific lines as you walk through the code and make sure to review which options were selected and why. Bonus tip: When you’re up on stage and doing a demo, turn on zoom and use it. The audience never seems to be able to see the screen as well as you think they can! Finally, once you’re up there, remember that everyone in the room is there to hear what you have to say. Everyone wants you to succeed. And if you’ve made it this far in the process, there’s little doubt that you will! So relax, take a breath and enjoy yourself! As a reminder, here’s where you can submit your JNUC session idea. Good luck!